Part 2 of the "5 Element Codes" article series. © 1995, 2005, 2009. All Rights Reserved. Black Belt in the Ninja's Combat Method! or click here to download your copy now! "What are the 5-elements (earth, wind, water, wood and metal) about that I have seen mentioned in books on ninjutsu? Read part 1 of this article series here. In this installment we'll examine the second system of 5-elements imported from China and seen extensively in the ninja's escape and evasion, and higher strategy teachings. The Gogyo '5-Elemental Transformations' theory is a Chinese system of explaining the growth, progression or destructive dissolution of energy in an ever-changing process. Where the Godai '5-Elemental Manifestations,' outlined in part 1 of this series symbolize and categorize "things" (i.e. solids, fluids, sexes, job titles, personalities, etc.) as they appear in the ever-growing and expanding universe, the gogyo "transformations" -- which are based on the Taoist concept of in and yo (yin/yang in Chinese), shows the development of, progression towards, or blocking of energy in any "thing." Far from being contradictory theories, the godai and gogyo symbologies are in actuality mirror images of each other. In fact, in the Buddhist mind-sciences, the gogyo system can be seen as the sixth element (mind) transforming the godai into the rokudai. These elements, unlike those of the godai, have no real beginning or ending as such. They 'appear" to start where the observer first becomes aware of them and can be seen to progress in an unending series of cycles from there. The system has two parts. One, a productive, progressive 'growth' cycle; and an ura destructive, blocking or damming cycle. The Only Universal Constant is "Change"
Sui "Water"-- is energy in a pooling, collecting, or sinking state. Unlike the godai element of the same name, the "water" element here represents the coming together of all the necessary components that will allow growth to take place. As an example, we could take a look at the growth of a plant and see how the seed from which it comes is just one part of the whole process involved. But, without the right soil conditions, moisture level, mineral content and balance, warmth, etc. the seed will not even begin to germinate. Moku "Wood" -- represents upward-reaching, new growth. As the constituents of the "water" element come together and focus, they take on a 'life' of their own that appears to be separate and distinct from it's base parts. In our example of the plant, we see it's stem or shoot break through the surface, as a result of all the right conditions being present, and begin to reach toward the sunlight which will continue to feed and nourish it. Ka "Fire" -- also seen as a part of the godai but used here in a different context, this element represents expanding or evaporating energy. Our plant opens up in full bloom as it comes to the fullness of maturity. However, by doing so, it exposes more of its self to the air, allowing for more evaporation and moisture loss; thus leading naturally to the next element. DO "Earth" -- is the representation of energy in a condensing state. From the initial growing stage of the "water" level, and through the expansion phase of the "fire" state, the energy now begins to condense back in upon itself. As the plant continues to mature it begins to wither and dry out. KIN "Metal" -- represents energy in a 'hardening,' compacting state. Our plant continues to dry out until even the solid parts return to their mineral base forms - returning to the soil from which they came. The moisture that the plant has been giving up as it dried, the solid matter returning to the soil for decomposition, the gasses given up during decomposition and so forth, all contribute and lead to the "water" element of the next cycle. The elements are not, and should not be thought of as separate and distinct steps, but rather phases in a natural process. It's difficult to find an exact changing point from one to another, but each is seen as a gradual coming into being from the previous elements activity. The seasons (for those of you in the temperate zone!) make a good analogy for this process. In contrast to the man-made calendar that has divided the year into four roughly equal parts measuring ninety-two to ninety-three days each, nature takes its own course in its gradual shifting from the new growth of Spring into the warmth and activity we all enjoy during Summer; which becomes the colors and beauty of Autumn (which is really the drying out of the vegetation) and the slowed activity as the days become progressively colder into the Winter months. As I said, man has constructed this 'reality' for convenience and then complains when Spring doesn't come on schedule! The fifth 'season,' here represented by the "water" element can be seen to be the 'dog-days' of Spring. That 'unofficial" season when the ground is thawing, and the ice is melting and everything is preparing for the new growth to come. This same cyclic progression can be seen in a combative situation, and should be acted out and worked with intensively by those wishing to prepare for a real-world defensive encounter. It can be viewed from either perspective: attacker's or defender's. At the "metal" phase, the attacker is laying plans for the attack; the defender is operating in a mindful state instead of the sleep-walk living typical of the 'average' person. The attacker moves into position readying his body for the attack -- gets mentally and emotionally set for what is about to happen; the defender becomes aware of a problem and also attempts to position him or herself for the easiest solution possible. Next, the attacker launches the actual assault either with the first grab, punch or kick or by causing a 'scene' from which he can apply psycho-emotional pressure (aka: stress); the defender receives the initially attack -- hopefully with success! At last the fight is fully engaged as each participant counters, evades, attacks, etc. in an attempt to win, until finally the tempo dies down ("earth") as each loses energy until one is either brought under control or conceeds, and the fight finally stops ("metal"). While it takes a lot to explain, the actual duration of events often takes less time than it took for you to read about it. Unlike the Godai "manifestations" which represents the "shape" or "form' that energy takes, the Gogyo system also has a 'destructive' or energy damming (NOT damning) cycle. The same elements are involved but are related to each other differently.Where the productive cycle shows the natural progression from one phase of energy to another, the destructive cycle shows how each type of energy can be used to block or destroy another and prevent the productive cycle from continuing. The logic of the flow can be seen in the obvious natural descriptions of the elements in that DO the "earth" dams-up and controls the flow of "water" SUI which, in turn, destroys KA the "fire" -- just as the cold water puts out a roaring fire. "Fire" destroys "metal" KIN, as the furnace turns the iron ore to soup; "metal" destroys "wood" MOKU as the saw cuts down the trees. Finally, MOKU the "wood" element then destroys "earth" DO -- just as the growth of plants and trees can be seen to move the earth, and even boulders, from their path. This destructive cycle, which stops the progression of energy to its next phases (causing it to either return to the previous stage or skip to the following one), can also be seen with our plant. The seed, as pre-planned (karmic) potential represents the metal element. It will not progress to the growth state ("wood") of its life if it does not get the moisture and nutrients needed ("water" pooling) because of draught ("earth" drying). The new shoot ("wood") will never bloom ("fire") if it encounters a gardener's blade ("metal") but will immediately move onto the drying out stage of the "earth" element. And so the process goes on. The gogyo theory receives a great amount of attention in the practicing of the ninja arts (and is NOT limited to the Kasumi-an program designed and created by Stephen K. Hayes in the '80's) The ninja's Goton-po escape and evasion strategies are categorized by these elements, as are the teachings involving military strategy as shown above. DOTON-Jutsu -- is the use of the terrain, ground, and geography to hide or escape from, thwart the activities of, or attack the enemy as he attempts to move through an area. Land navigation, reading the land, tracking, and the ability to operate various types of vehicles are some of the skills covered by applying this strategy. KINTON-Jutsu -- employs the use of metal and steel in the form of tools to assist with our strategy. Various weapons, both man-made and improvised, tools for gaining access to, and escaping from, barricaded structures, as well as equipment for climbing or perching on high natural or man-made structures are examples of skills suggested by the "Metal" element. SUITON-Jutsu -- covers the use of actual water sources for escape and evasion and attacking from a distance. Induced flooding, swimming skills for survival and stealth, water collection and purification in emergency situations, and construction and use of various water vehicles represent some of the skills here. MOKUTON-Jutsu -- is the application of plants and other vegetation for survival, escape and evasion. Climbing skills (shotenjutsu), camouflage and concealment, use of plants for food, medicine, and poisons, rope-making, improvised shelters and carpentry skills all fall under the implied use of the "wood" element. KATON-Jutsu -- is the heading for skills employing fire and explosives. Skills under this category include, but are not limited to, the use of a wide range of firearms, improvised explosives, fire-building, and the reflection of sunlight as glare against an attacker's vision. This Goton-po strategy was introduced to students of the old Kasumi-an program early in training as a basis for optional outdoor wilderness survival training. Today, students in my own Mastery Leasership Program have the option of adding this training to their regimen, and it is a necessary requirement for teacher certification. 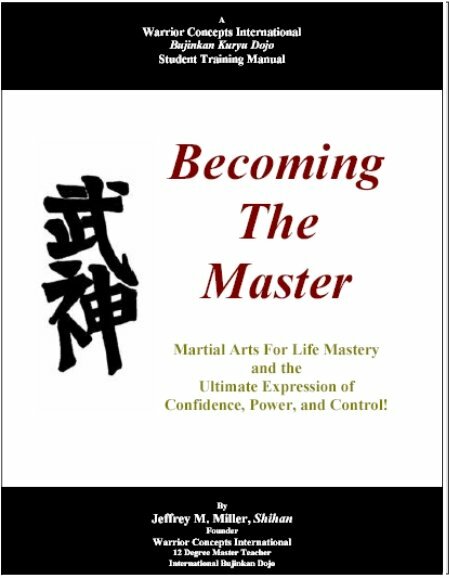 The gogyo theory, as with the godai, regardless of whether or not they are a formal part of any particular school, remain valid and powerful tools in a ninja's arsenal; both for learning the material covered and in application under stress. Coming to a deeper understanding of these theories still lay ahead beyond the simplified descriptions given here. Students who engage in the Warrior Quest Intensive come away with a very powerful, working-knowledge of the Gogyo 5-elemental codes as models for both self-protection and personal empowerment. The final installment will cover both of these powerful systems as mirrors of each other. We will explore their application in the realm of personal development and Enlightenment study, as-well-as their sister symbols in other philosophical systems often used in their study, by some, to enhance and understand the higher levels of the Ninja's lifeways. Get more insight into the lifeways and wisdom of ancient mystics like Japan's ancient Ninja Warriors. As you know, self-protection extends far beyond the execution of strikes, cuts, and throws. The true warrior's skills traverses the relams of the body, mind, and spirit. Subscribe to the Warrior Concepts Self-Defense Newsletter and get ongoing information about training, personal development, and the power of the Ninja's art directly from one of the most respected leaders in the art today. Subscribing is easy. Simply complete the form below and click "submit." You will receive a confirmation email to make sure that no one misused your email address. Once your subscription has been confirmed, you will begin receiving your newsletter and all of the great "extras" that come with being a subscriber. Benefits like free webinars, reports, and "insider secrets." 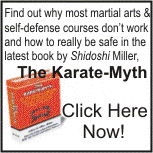 I promise to use it only to send you Warrior Concepts Self Defense Newsletter. Jeffrey M. Miller is the founder and director of Warrior Concepts International, an expert in the realms of real world self-protection tactics, and a master teacher in the art of Ninjutsu - the art of the Ninja. He is highly sought-after for his direct, often politically-incorrect approach to helping people get what they need. Through his classes, seminars, book and video products, and corporate training events, he empowers individuals with the time-tested and proven concepts, principles, and closely guarded secrets of the warrior in a way that makes them highly effective in Today's world. This article may be freely distributed and used provided that it remains as-is, with the author's byline intact and all links active. Copyright © 2007 by Jeffrey M. Miller. All rights reserved. You may forward this in its entirety to anyone you wish.